Sport Package, Navigation/Camera System, 1 Owner Clean Carfax, Sharp Color!! 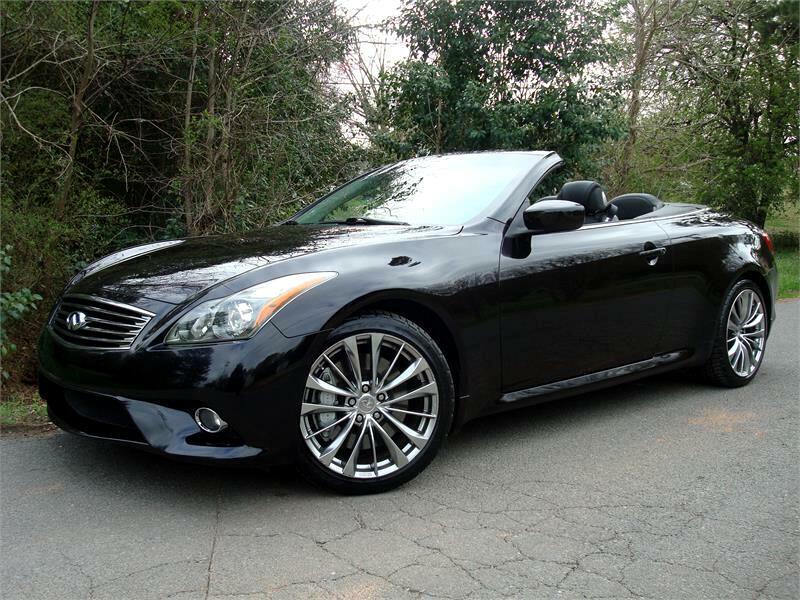 The 2012 Infiniti G37 convertible is an entry-level luxury hardtop convertible available with RWD. The G37 convertible is powered by a 3.7-liter V6 engine that produces 325 hp and 267 lb-ft of torque with a 7-speed automatic transmission with adaptive shift control and drive sport mode. Fuel mileage falls within an EPA estimated range of 16 mpg city to 25 mpg highway. Safety is comprised of limited-slip differential, advanced airbags, rollover protection, vehicle dynamic control, traction control, advanced braking, and tire pressure monitoring. This G37 comes in beatiful Malbec Black Metallic (Black Cherry) over black leather interior with Infiniti's Sport package. Also features the navigation/camera system with Bose audio! It comes as a 1 owner clean Carfax vehicle!! Message: Thought you might be interested in this 2012 Infiniti G37 Convertible.